In this demonstration I show you how I have used scraps from my scrapbox and using a punch, I have turned them into a patchwork card. I used Cosmic Shimmer PVA in Vintage Pink to make the Pearl dots and all the paper was in my Anna Griffin scrapbox, I made all the flowers, again from scrap. 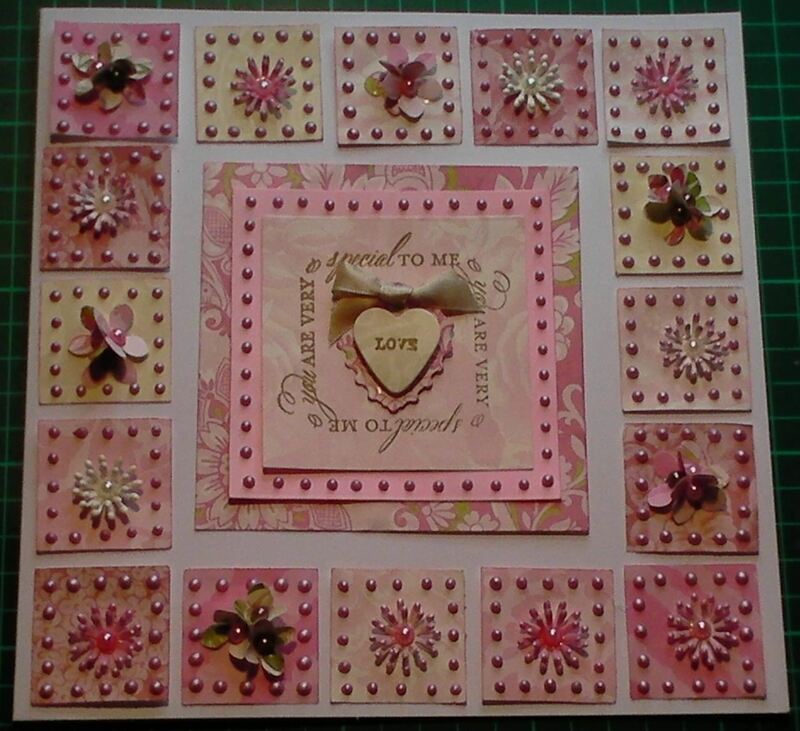 I used a Say it Anyways stamp to make the sentiment and then finished it off with a handmade heart embellishment.